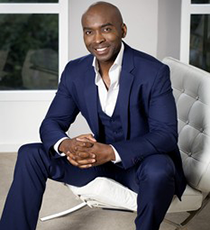 Dr. Chidi is one of Europe’s leading Lifestyle Doctors with a passion for motivating, educating, entertaining and inspiring people into great health. He is regularly asked to give health and medical advice on shows such as ITVs Good Morning Britain and on BBC London Radio as well as other international shows such as ‘Go Healthy for Good’, USA. He also contributes to publications such as ELLE Magazine, Women’s Health, Top Sante, The Daily Express and The Daily Mirror. As a director of the European Society of Lifestyle Medicine, he helps to teach doctors, medical students and communities all over the world about the benefits of healthy Lifestyle change – working with the W.H.O. and C.D.C. His team has recently developed a Masters Programme in Lifestyle Medicine, which will be run by several prestigious US and European Universities. He is also developing a book and easy system to help people prevent and reverse all of the main lifestyle diseases. Dr. Chidi is a member of the American College of Lifestyle Medicine and a Fellow of the Royal Society of Medicine. As a lifestyle doctor he has had tremendous success in helping people prevent and reverse many of the most common lifestyle diseases such as hypertension, diabetes, heart disease, obesity, cancer and depression, by getting to the root cause of the disease, then helping the person to change their lifestyles. His Harley St practice has helped to treat people from all over the world. He has over 10 years experience as an international health and motivational speaker including a TED talk on reversing disease. Having extensive training in surgery, general practice and emergency medicine from Cambridge, University College London and John’s Hopkins Baltimore USA, Dr. Chidi has a vast range of medical knowledge and experience. He also has degrees in physiology and pharmacology from King’s College University of London. This is coupled with a passion to help the public become healthy and stay healthy. Because of his passion, whilst studying medicine at UCL and The Royal Free Dr. Chidi designed, planned and opened an award-winning healthy restaurant in SoHo, London as a practical way to demonstrate how to eat well on a budget. Dr. Chidi is a fitness fan – running 5 kilometres 5x per week, walking 10 kilometres per day and 4x per week in the gym.